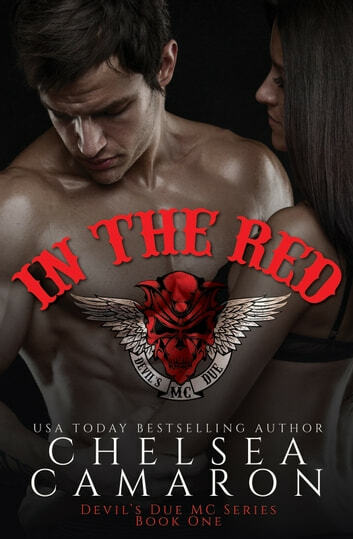 Each book of the Devil's Due MC is a stand-alone, full-length second chance romance. Contains strong language, adult content, and violence not suitable for readers under the age of 18. This is not an exact depiction of a motorcycle club, but rather a work of fiction meant to entertain. Great start to what is sure to be a great series! Wow, I don't think I've read anything by just Chelsea and I am happy that I had the chance to do so. I am really looking forward to reading more of the Devil's Due Series in the future. I think they all have stories that will have me hooked right from the get go just like this one managed to do. This story isn't like the typical MC books where they are in a war with someone. This is a group of men that are out to get vengeance against those who have impacted their lives in a very bad way and to get justice for those crimes. The pain that these two shared years ago is what ultimately tore them apart and brought them together later on. In a place that neither expected to ever see each other they are thrown together and the sparks fly. Emerson has been sheltered ever since the day everything went wrong. She is on her own now and is living life free of her parents and the overbearing, sheltering. Dover has been on a mission to get justice for the crimes someone committed. He started out with being a cop but seeing the injustice there he set of to do it on his own with the guys of the MC. When he finds Emerson he decides that she is something that has been missing in his life and he is set to get what he wants. I was thinking I knew how this book was going to end up but I was pleasantly surprised. I loved all the characters in this book and can see that they are going to have interesting stories as well. Chelsea did a really great job with this book. My heart broke for everything that goes on in this book and the loss that people experience. I highly recommend this book. I couldn't put it down! Loved the story of how fate brought Emerson & Dover back together to solve his sisters Cold case! It's not your traditional MC book but is still so good! really hope to get the stories of these other men!